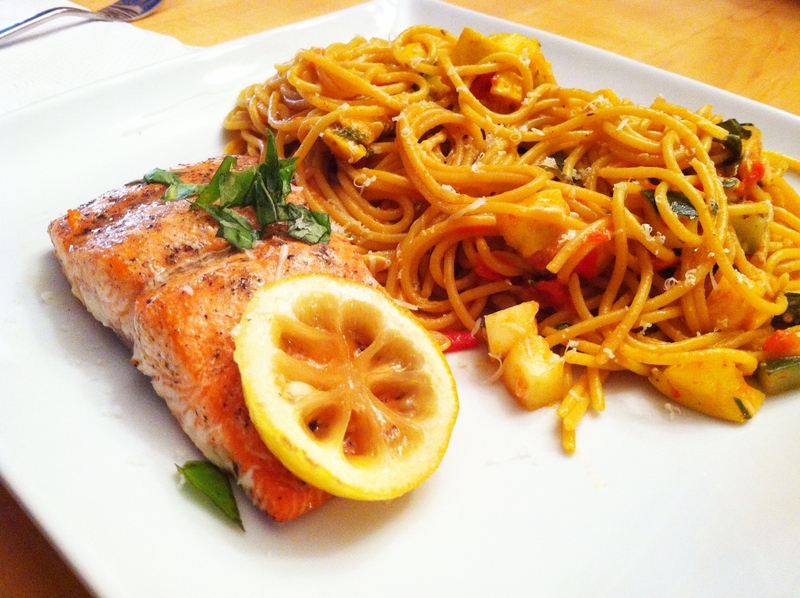 i love the lemon trick for keeping the salmon off the pan – so does this mean it doesn’t have to be flipped at all? 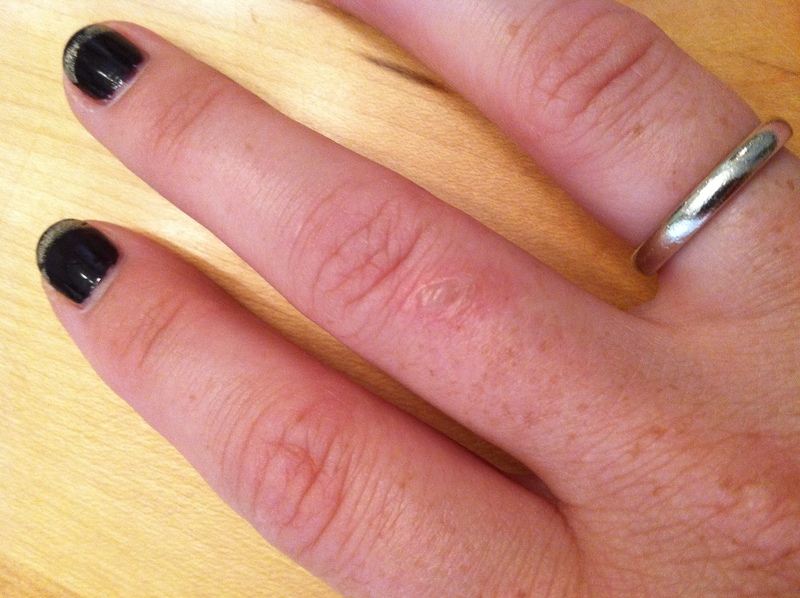 I am such an novice, and have plenty of similar burns and cuts to show for it all, as well. Yes, when you keep it off the pan surface and when you put the lid on top, the fish sort of steams in there with the lemon, and does not need to be flipped. 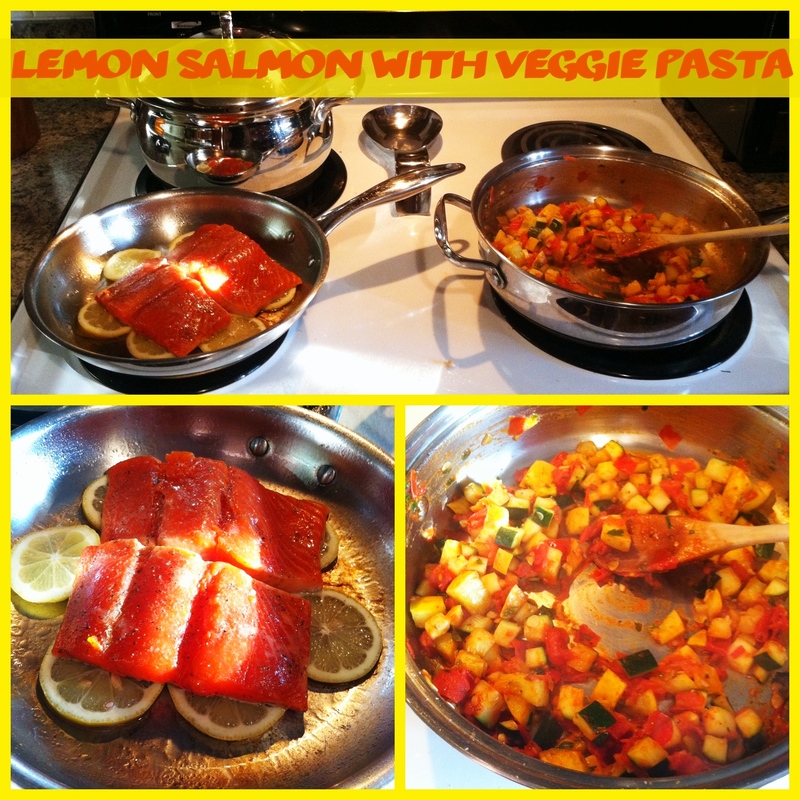 Just tried a new salmon recipe – used smoked salmon I know that is not healthy but it was so good. Made a low fat alfredo sauce and added the smoked salmon. Used angel hair pasta (Tommy’s favorite). Thanks for your wonderful recipes!!! I love new ones to try. So proud of you lady. I think you will have a show one day!!!! !